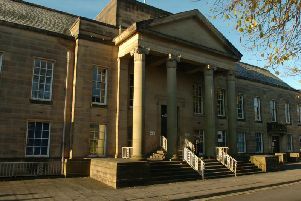 A drug addict who went stealing in Padiham Tesco on two days running stole razors worth more than £400, a court heard. Sean Cullen (24) got away the first time, but was caught on CCTV and recognised by the duty manager as he is a regular customer. He went back in the day after, was spotted by the duty manager and was stopped as he walked to the door. Burnley magistrates were told how when Cullen was interviewed, he said he was going to sell the hauls because he had a drug habit and his methadone prescription had been stopped for a couple of days. The defendant, who had 80 offences on his record, was on post-sentence supervision. .
Mr John Rusius, defending, said Cullen had had a drug problem for many years. It started after he was put on "very addictive" Tramadol by doctors after a motorbike accident and got to the stage where he was taking up to 20 a day. He ran out. The solicitor continued: "A so -called friend introduced him to heroin, which is probably even more addictive and resulted in his previous convictions. He became quite a prolific shoplifter." 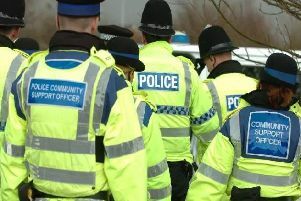 Mr Rusius said the defendant was now engaging with Inspire, the drugs treatment service, had recently given a negative drugs test and seemed to be at a point where he was ready to tackle his drugs misuse. The solicitor went on: "He says for a short period of time he had a problem. First of all, his benefits had been suspended. At about the same time his prescription was stopped and he needed a top-up to get him through." Mr Rusius added: "It was a blip, but he is now back on track and everything is going swimmingly." Cullen, of Woodbine Road, Burnley, admitted two counts of theft, on March 21st and 22nd. He was given a 12-month community order, with a six- month drug rehabilitation requirement and 12 days' rehabilitation. The defendant must pay a £85 victim surcharge.